Amirra Malak may spend her days as an art teacher at Hood River Valley High School (HRVHS), but her story really begins in a tiny village in Upper Egypt, where only one person could read or write. Malak’s father, who was born in this village, became the rst person from his town to finish high school and then went on to earn his Bachelor’s degree in Lebanon. “My dad is a big part of why I am teaching and my belief in kids,” said Malak. Inspired by her father’s determination and commitment to his own education, Malak carries with her the notion that no matter who you are or where you are from, dreams can be achieved through perseverance. 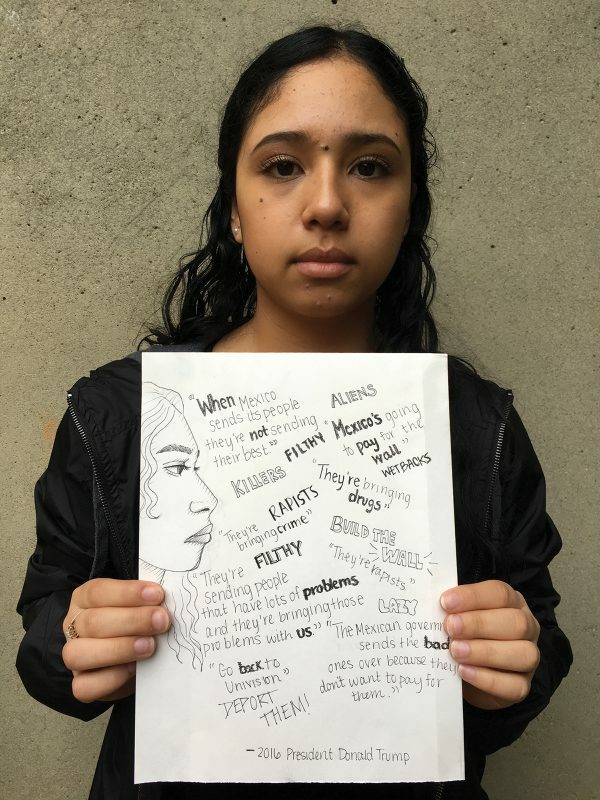 When Malak woke up the morning after the election, she immediately thought about what her students might be feeling, especially those from immigrant families. “It was a very emotional morning. My students walked into the classroom and some of them were visibly upset. They had been crying. There was a strange energy in the room. Everyone was sort of sick with it,” Malak said of the new reality in which they were living. The fear felt by many immigrants and outsiders was something Malak has been familiar with her entire life. Being bicultural, or what Malak describes as an “authentic hybrid,” has come with its own share of challenges. Being authentically Egyptian-American meant that she sometimes didn’t feel accepted as legitimately Egyptian or American, leaving her feeling separate from both cultures. Having lived all over the globe, she’s frequently felt like an “other,” which sometimes has led to a fearful existence. Having experienced cultural ‘otherness’ herself — and feeling fearful in those mo- ments — allowed Malak to be in tune the emotionally-charged post-election world her students entered on January 21st, the day after the inauguration. “I couldn’t just go on like it was a normal day,” said Malak. “I said to my students, ‘I can feel that some of you are emotional. Art has this amazing capacity to help in situations when you are emotional." 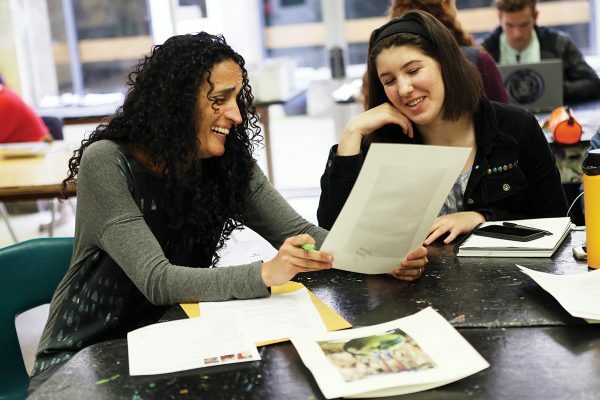 To begin this process, Malak shared a piece of art she had created in the days following 9/11, and spoke about how that tragedy impacted her as a mixed-race American of Egyptian descent. Malak then said to her students, "I’d like to ask you, if you want, to spend today processing what you are feeling right now through art — whether you are feeling like it is a great day or a di cult day, I want to give you the space to do that if you would like to."